I never used to be a fan of mushrooms, and in fact I was a pretty picky eater as a child, but as time has passed my tastes have changed, and now I eat almost everything. I'm keen to encourage Zach when it comes to food; I want him to enjoy a variety of tastes and textures and I think that a really good way of doing this is by growing and cooking our food with him. 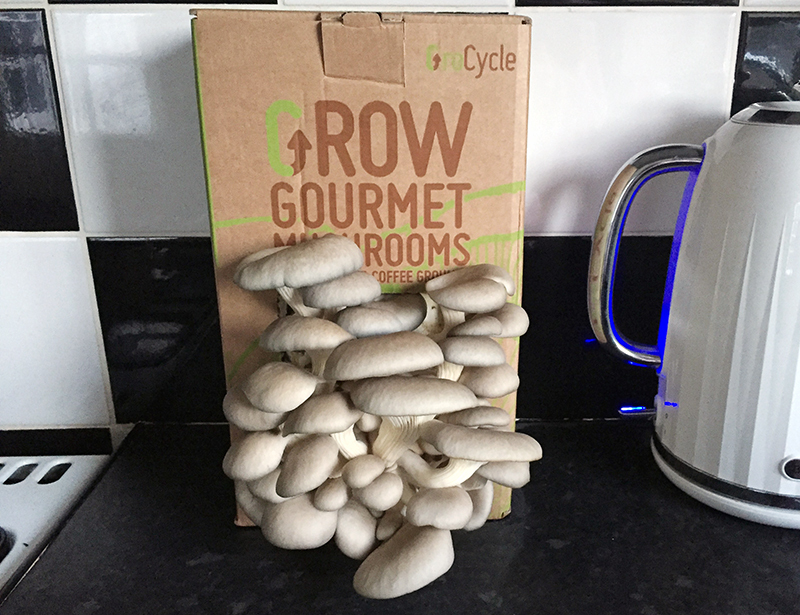 Recently we were lucky enough to be sent a GroCycle GroKids Mushroom Growing Kit to review, and we were so excited to see if we could actually grow our own mushrooms from the comfort of our home! We use a lot of mushrooms in our cooking, especially as we're actively trying to keep our meat intake low, and they are a great way of bulking up a vegetarian meal. As soon as our kit arrived we couldn't wait to get started! GroCycle are a company who are based in Devon, and their main aim is to keep coffee out of landfill by using it as compost, something which I think is such a great idea! 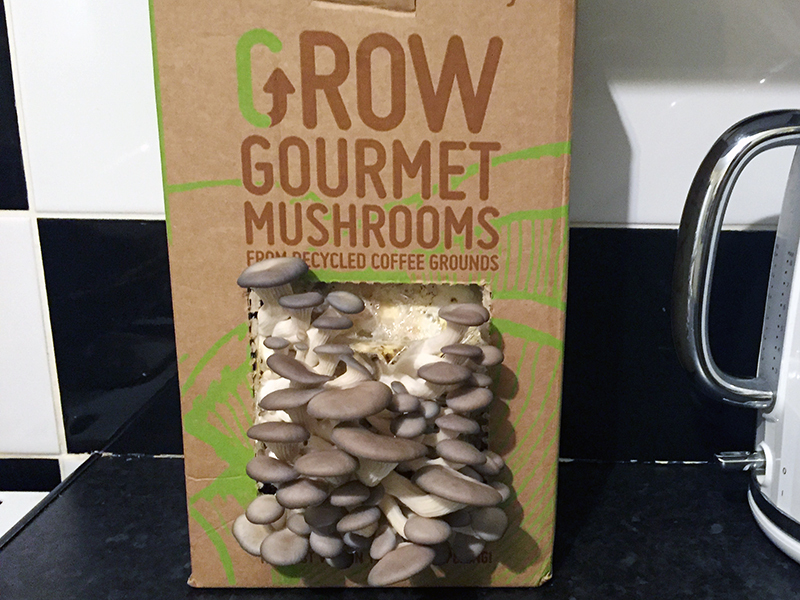 Their kits allow people to grow their own mushrooms from home using bags of old coffee grounds, and the process itself is really easy, as well as being lots of fun. Zach is still a little too young to use the kit himself, so I set it up instead. All you have to do is cut a X in the bag of coffee grounds & soak it in water overnight, before returning it to the box it came in and watering it twice a day. We found that the mushrooms grew really quickly, and from the fourth day we could notice a difference in size after just a few hours. Zach loved looking at them every time he went in the kitchen, and we could tell he was noticing their growth. 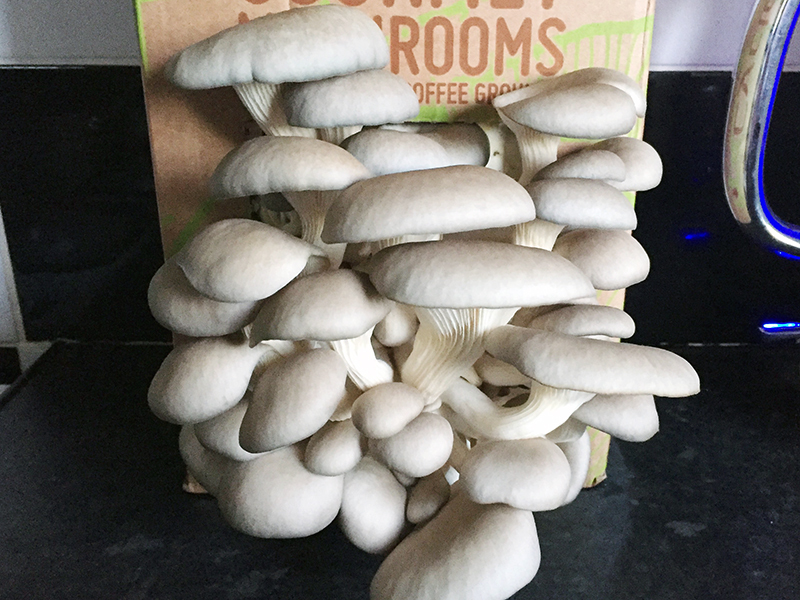 It was really amazing to see them grow right before of your eyes, and you can actually get several cycles of mushrooms from each kit - we are just about to start our second! Once they are fully grown they are ready to cook - although I will say that this is the only thing I found difficult as I wasn't quite sure when they would be ready. However, there is so much help available via their website that if you have any queries you can find the answer on there, or ask one of the members of their team who are really friendly and helpful. We used our mushrooms in a beef stew, and they were absolutely delicious. Their flavour was incredible, and nothing beats that feeling you get when you're eating something you've grown yourself. I definitely want to get another box when Zach is older and more able to appreciate the whole process! 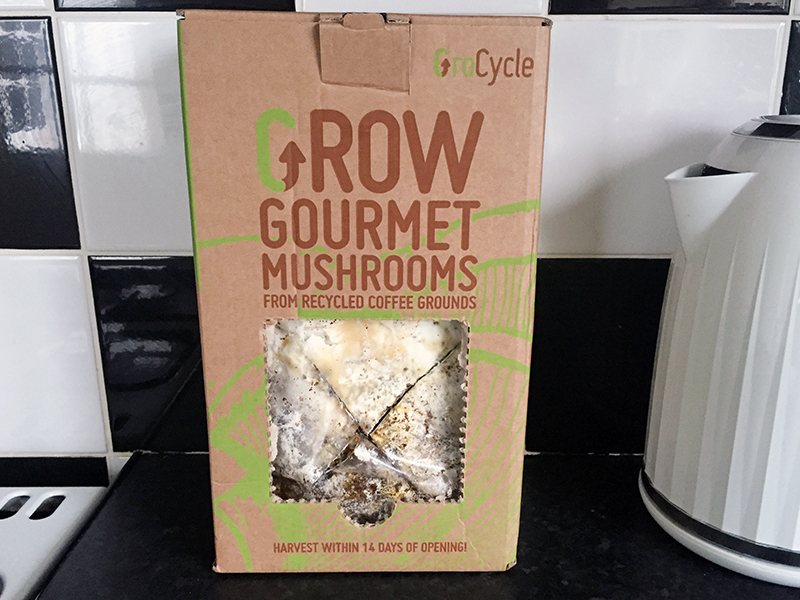 Overall I would definitely recommend the GroCycle GroKids Mushroom Growing Kit - we absolutely loved being able to grow our own mushrooms, and the whole process was really fun. I think this would be a great gift for children because it is both educational and fun, so definitely keep it in mind when you're doing your Christmas shopping! And if you're after a quick and easy mushroom recipe then why not try my creamy mushroom, pea and pancetta pasta?